Appeal to search engines (Google!) and people with a straightforward headline that gives your audience a clear picture of what you are writing about. For example, one of our top-ranking blog posts is “Understanding DSCR.” From the title alone, the reader can tell what they are about to read about. Careful with this one! You don’t want to be too keyword heavy but having a keyword in the URL is critical for search engines to follow. For example, on our DSCR post, overkill would have been blog.visiolending.com/DSCR-understanding-DSCR-debt-service-coverage-ratio. Instead, we chose the simple URL following the title: blog.visiolending.com/understanding-dscr. We indicate what our key topic is while staying readable and user-friendly. 43% of readers skim blog posts (source). 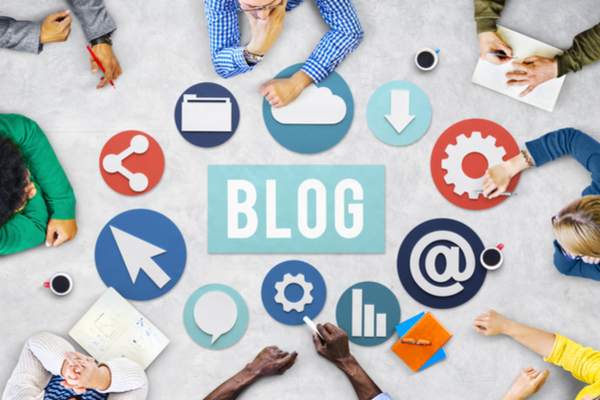 Make your blog post easy-to-follow and let readers jump to the section that particularly interests them. In our DSCR blog post, we have broken it down into three sections: The Basics of DSCR, So what is a Good DSCR?, and How can you improve your DSCR? Keep your audience engaged and offer them a next step with a call-to-action button. It could be “Contact Me” or “Call Us.” It could also be an action to keep them engaged with your site. On our DSCR blog post, we have a button directing readers to our Resources Page. Make it easy for readers to share your blog post by including share buttons. One click, and they can share your article on all social platforms or even email out the post. Your blog is a golden opportunity to link elsewhere on your site or even industry leader sites. However, never link just to get more links. Link with a purpose. For instance, in our DSCR Post, we talk about how improving your credit score can help you attain better interest rates, and we link to our blog post on improving your credit score. Insert alt text for optimal SEO potential. 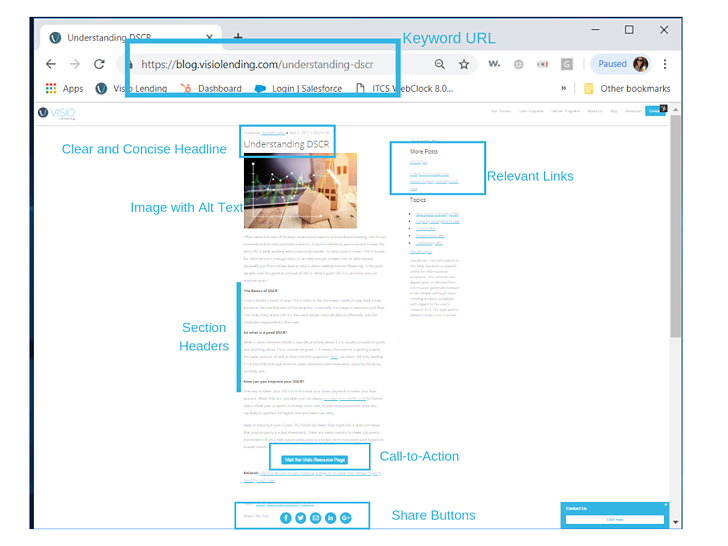 Learn more about alt text here. Make sure you have no copyright issues with images. We suggest Canva for an image solution. For more marketing tips and resources for brokers, check out our Broker and Partner Resources Page.